For good or bad, Switzerland has a reputation for standing alone in global business. 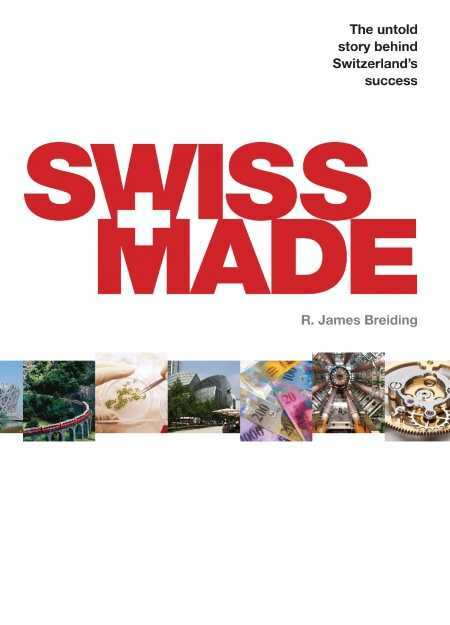 R. James Breiding, in his fascinating history, Swiss Made, explores every facet of the country’s economic environment, from the earliest beginnings in the Middle Ages to the intense competition in the twenty-first century. Backed by extensive research, including interviews, Breiding presents a positive, yet objective view of this somewhat controversial nation. The author dispels the common perception that Switzerland is a haven for tax evaders and criminals seeking asylum. Throughout his informative book, he acknowledges the truth behind the perception, but explains why, in most cases, this derogatory attitude toward the Swiss is an old-school tale. Over the course of centuries, this landlocked country with treacherous mountains has attracted ambitious people despite its hostile terrain. Breiding attributes a native self-sufficiency to geographical and topographical causes. Capitalizing on what the Swiss do best—create and cultivate—he branches into areas as diverse as watches, chocolates, textiles, pharmaceuticals, and supercomputers. He elaborates on banking and trading, of course, but does not make money his sole focus. Divided into fifteen chapters with an appendix, notes, bibliography, and index, this work is a colorful history textbook masquerading as a business and economics title. An investor expecting detailed financial guidance will not find it. A reader will learn from the past, examine procedures of prominent companies, and perhaps, walk away inspired. For an innovator, an excellent inclusion of multinational corporations makes it a required reference, and for an analyst, a variety of graphs and tables will explain what words do not. This text will also appeal to an audience far removed from business, reaching into the arts and sciences. All countries, including Switzerland, have been forced to look outward rather than inward to attain success on a developmental as well as a financial scale. Breiding holds Swiss and American citizenship. He is the founder of Naissance Capital, an investment firm in Zurich. Breiding earned a master’s degree from the John F. Kennedy School of Government at Harvard University and International Institute for Management Development in Lausanne. Swiss Made is his second book.